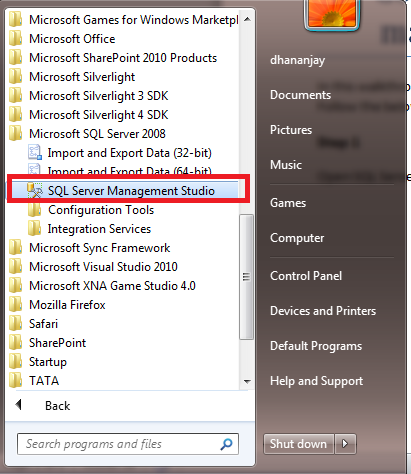 In this walkthrough we will see how to connect from Local SQL server management studio to SQL Azure. Follow the below steps. 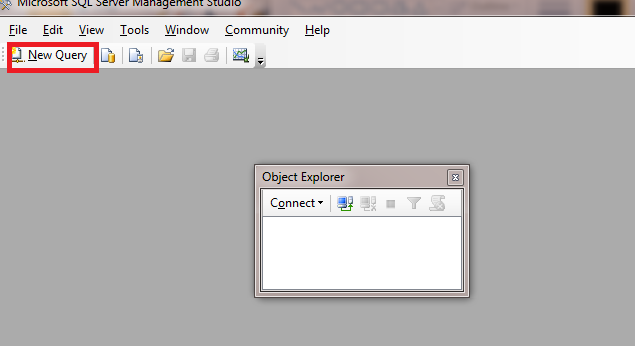 You will get Connect to server dialog box. Click cancel on that. 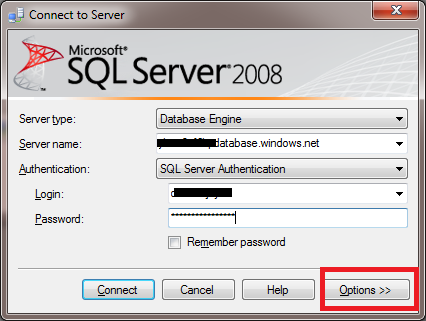 On clicking New Query, you will get the connect to server dialog box again. 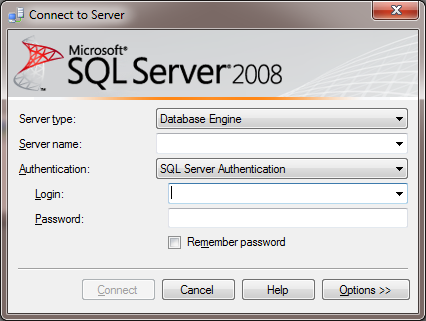 Now here you need to provide, Server name of SQL Azure and Login credential of SQL Azure. 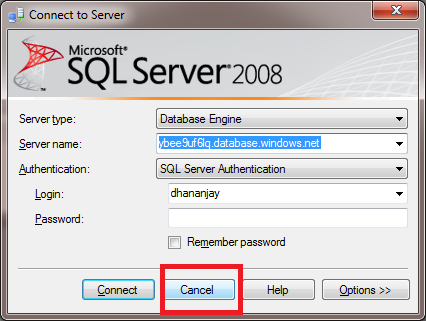 Where abc is name of your SQL Azure server. We need to provide this server name at local sql server management studio. 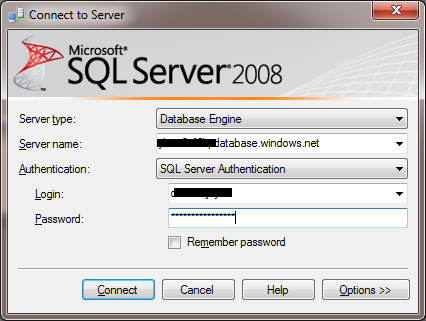 Make sure to select SQL Server Authentication and provide login user name and password of your SQL Azure database portal. Provide the database name you want to connect by default. 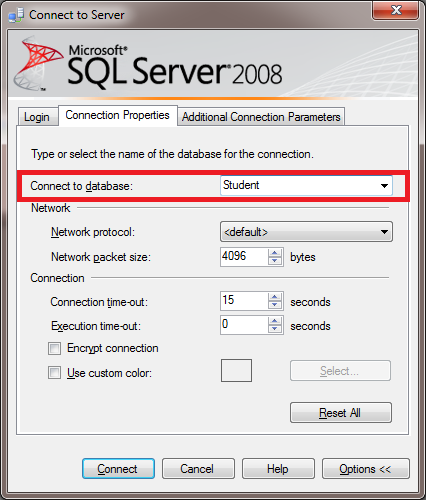 I am connecting to Student database. You will get listed all your SQL Azure databases.